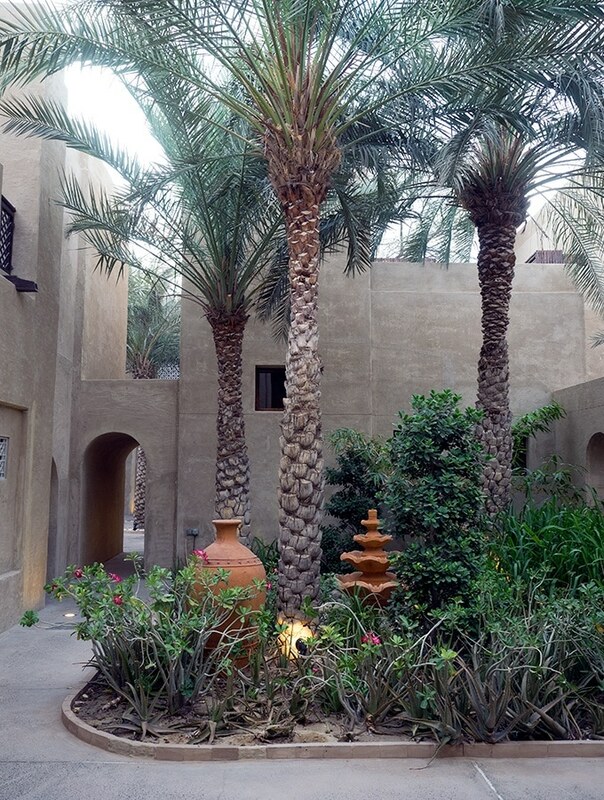 Bab Al Shams Resort and Spa is a desert oasis located one hour from Dubai. 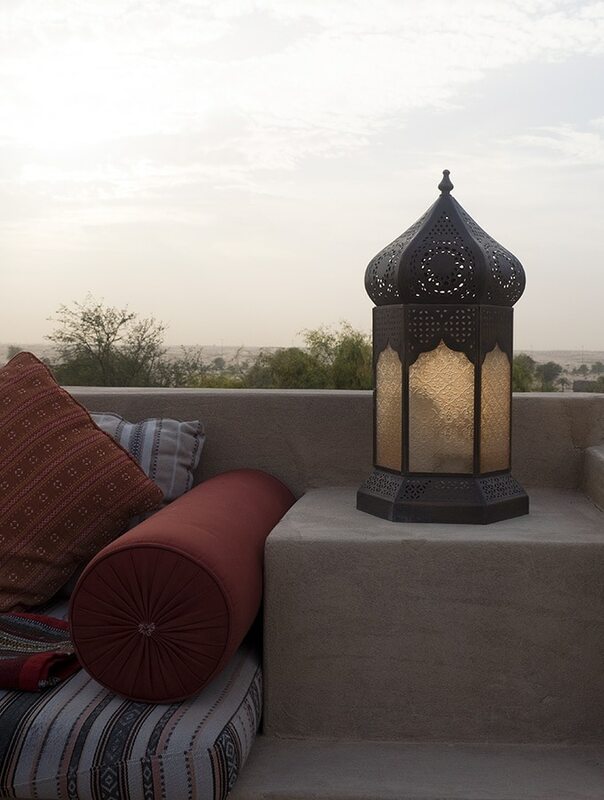 The ultimate Arabian desert escape to unwind and indulge. Air Choice One, I’m the only one on the plane! When I think of Dubai I think of shopping, indoor snow skiing, shopping, the world’s tallest building, shopping, malls with aquariums, shopping, and souks (okay that’s more shopping). All shopping aspirations aside, there is far more to Dubai than shopping. What I hadn’t thought previously, was the thought of venturing further than Dubai’s main city area. 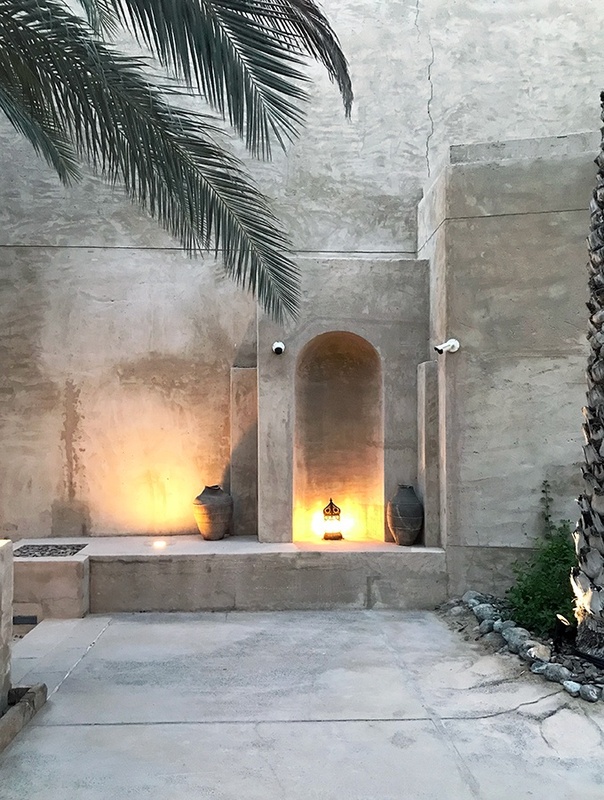 An escape to an Arabian oasis in the desert. 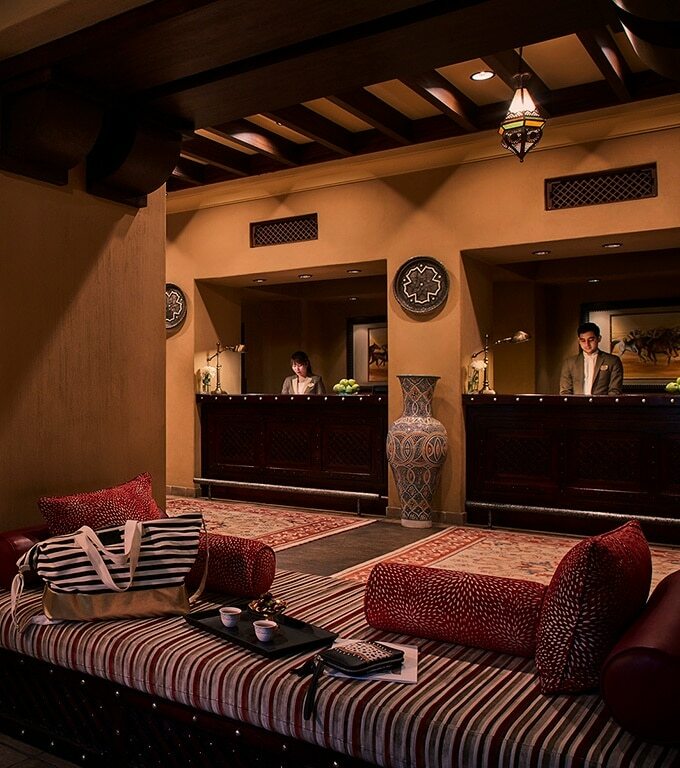 And folks that’s exactly what I did, I escaped to Bab Al Shams Resort and Spa. 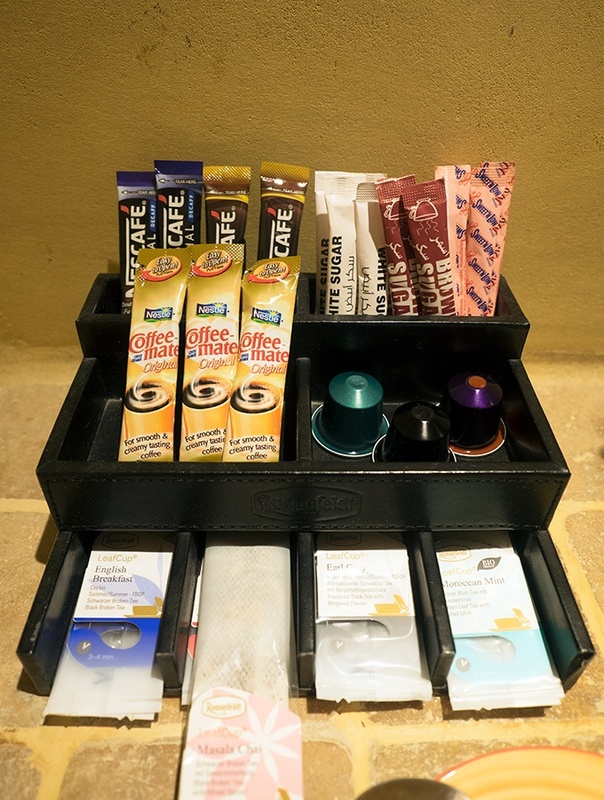 I do get butterflies of excitement when staying at a luxury resort or hotel. Those butterflies do start to flutter when the resort or hotel has the capability of transporting me to another time, another place. 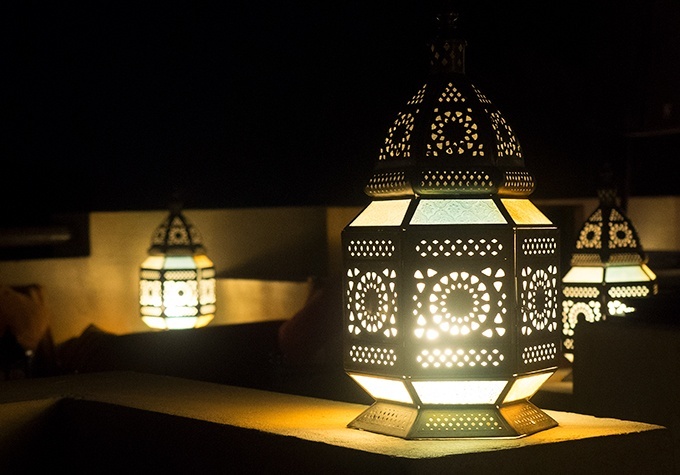 A combination of hot weather, lush green grounds, Arabic accented water features, rustic rendered buildings and gorgeous old world lanterns, whisked me completely away. All this surrounded by the peace of the desert and enchanting birdsong. It was pure escapism. I could easily have been walking around the back alleys of Braavos from Game of Thrones. If I bumped into Arya Stark I wouldn’t have been surprised. 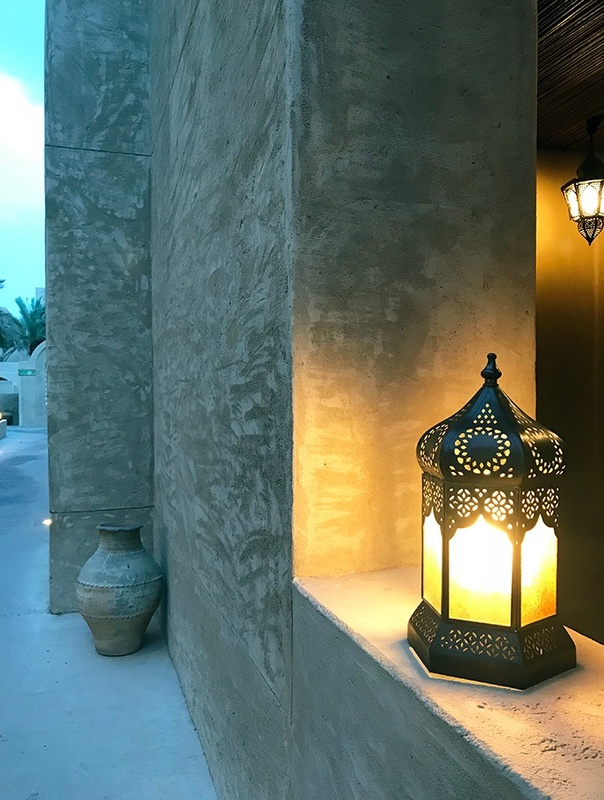 Where is Bab Al Shams Resort and Spa Anyway? 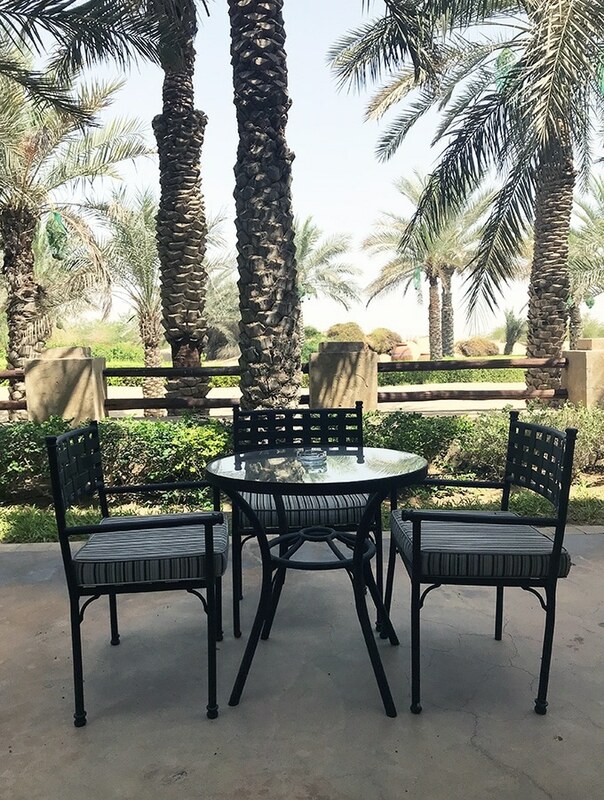 It is an hour drive from Dubai International Airport or Dubai City. It really doesn’t take long to leave the hustle and bustle of central Dubai behind. After 30 minutes you will find that you are one of none driving along a three lane highway. It’s a long and straight drive through the desert. Swirls of sand will dance across the road in front of you. You do feel like you are leaving the rat race behind. On arrival there will be a porter waiting for you. Bags tagged and whisked away leaving you to check in hands free. The resort is quite large, and you will be provided with a map on check in and shown the major points of interest. This is one resort where being shown to your room is necessary. You will walk down alleys, up and down stairs, through corridors and archways to get to your room. At this point, you will be grateful that your bags are being taken care of. A word of advice, do note of where you are going. You may end up like my jet lagged self and take a few wrong turns your first time navigating back to reception. 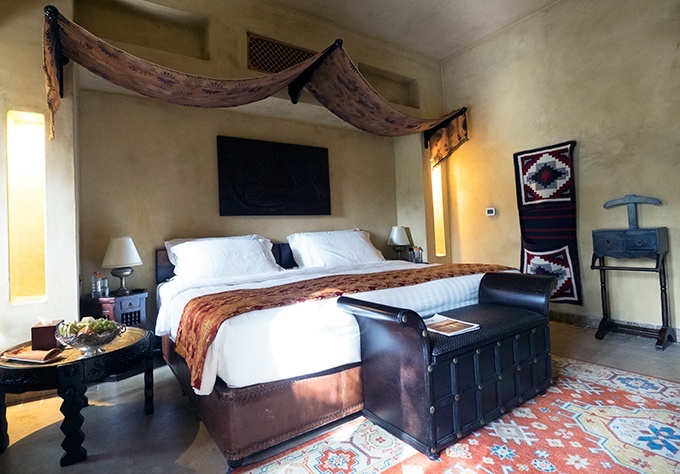 What’s the accommodation like at Bab Al Shams Resort and Spa? I stayed in a Terrace Room whilst visiting. My jaw hit the floor as soon as I walked in. 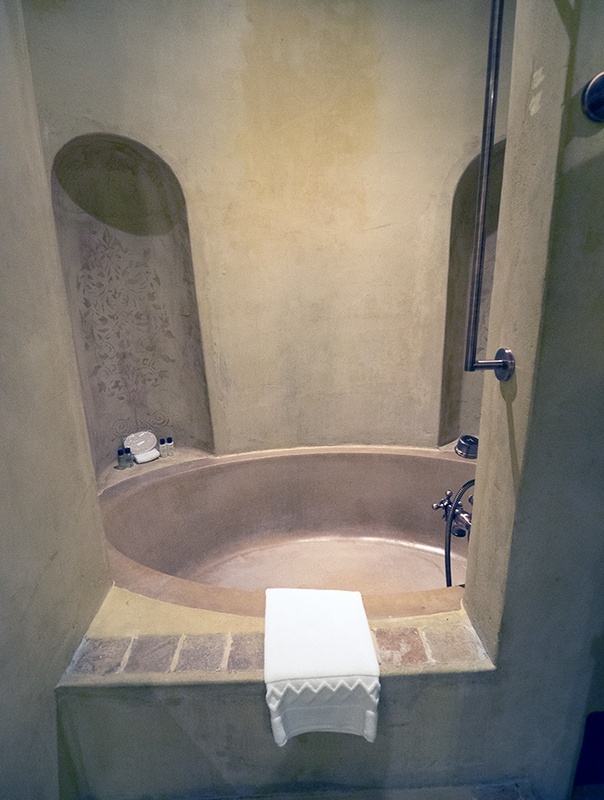 Where do I start, the bed, the bath or my terrace overlooking the desert? In regard to décor, it’s when you have time to notice the little details that you realise how gorgeously the rooms have been fitted out. It’s rustic Arabian décor. 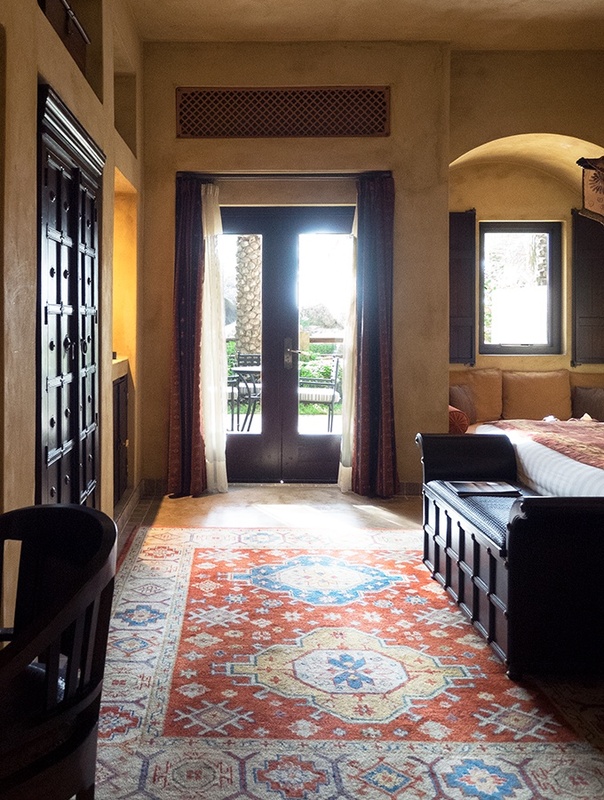 The use of dark wood and, rich Persian rugs and desert tones remind you where you are and add to the escapism feeling. The resort and room make you feel like you are in another time and place. But for those that like all the mod cons you will find them neatly hidden away. In the ornate wardrobe, you will find the television, safe, hotel compendium, room service menu and the rest of the mini bar. 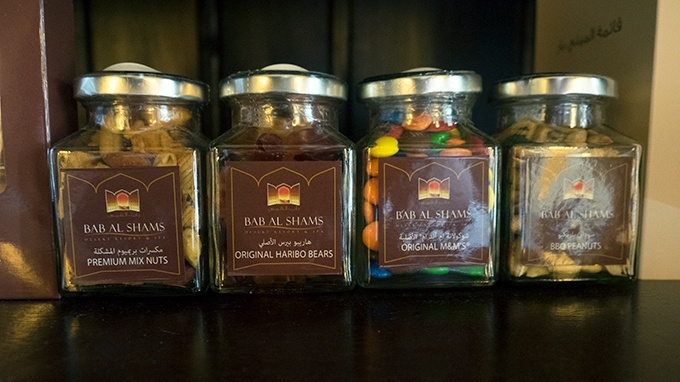 There were a couple of bottles of red wine, and various snacks including Bab Al Shams branded mixed nuts, M&Ms and dried beans in glass jars. 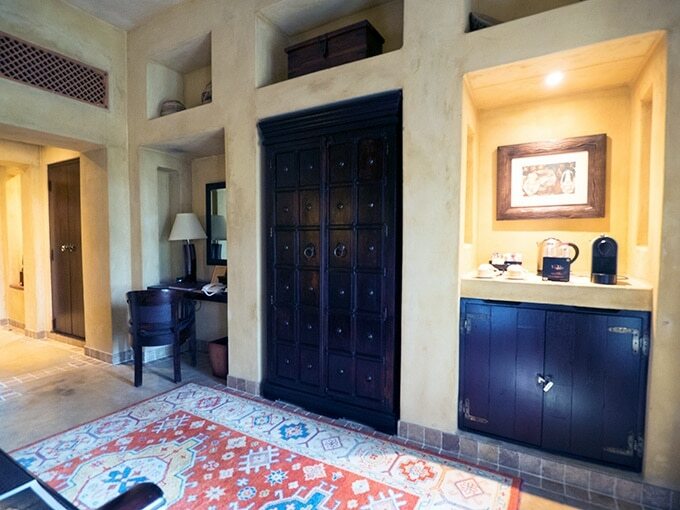 The mini bar is also hidden away behind doors. It’s stocked with beer, soft drink, wine, champagne and sparkling mineral water. Although tea, coffee and the kettle are easy to find as they are out on display. Bottled still water is free of charge and replenished generously. 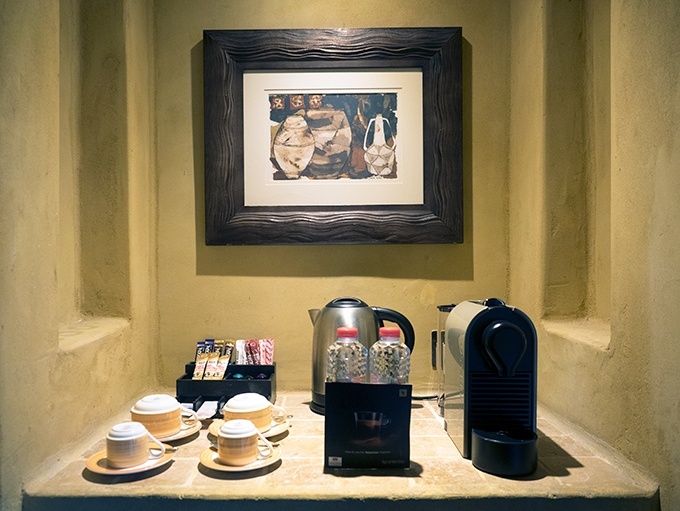 You will find fresh bottles waiting for you after turn down service. The bed is a luxurious, king, no it is maxi king, it is massive. You could either avoid your partner completely or have fun rolling around in it together. The pillows, I learn, seem to be a standard style for Dubai, probably the UAE in general. Large and flat, and initially not that comfortable. By the second night, I have worked out my pillow strategy and am as comfy as can be. I take my pillow ninja moves with me to my next Dubai hotel. There is a small desk, which for me, isn’t quite adequate for working. With the phone, large lamp and large dark wooden box (that holds the hairdryer), you are pushed for space. I ended up having balance the large phone on its side as it wouldn’t quite stretch to sit on top of the hairdryer box. 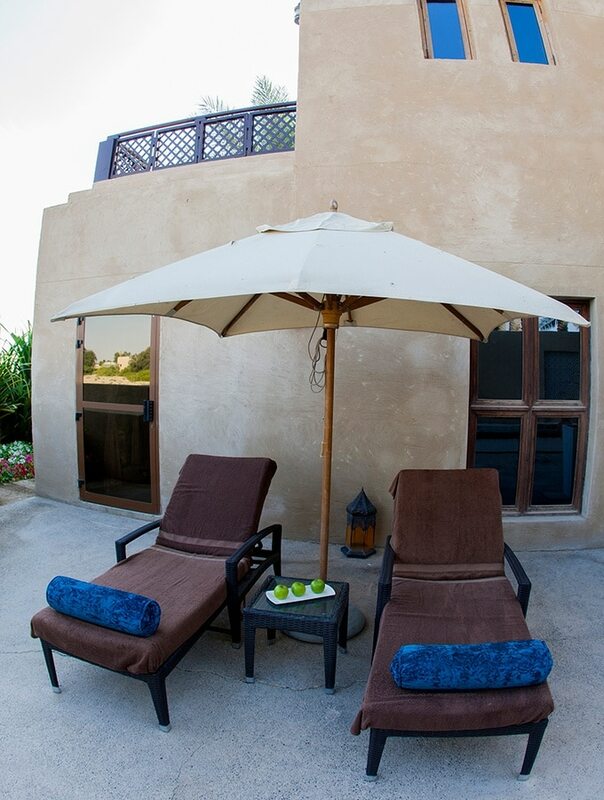 Saying this, Bab Al Shams Resort and Spa really is a place to relax and unwind, not work. A large wardrobe near the bathroom is where you will find dressing gowns, slippers, laundry bags and a shoe shine kit. Plenty of hangers too. There is a little seating nook under the window which has wooden shutters instead of curtains. 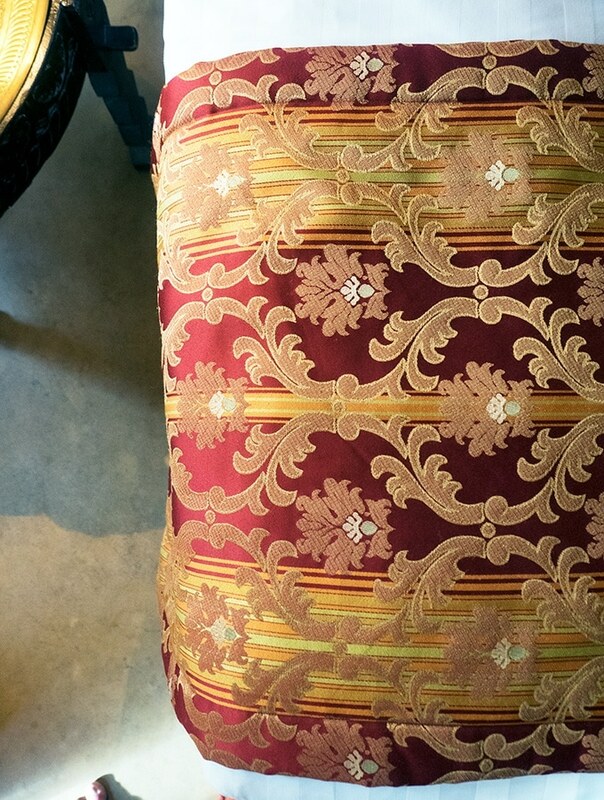 A cosy bench seat with fluffy pillows runs the length of the nook. An ornate table holds a generous fruit basket, plus some local sweets and chocolates. The bathroom is large and spacious. 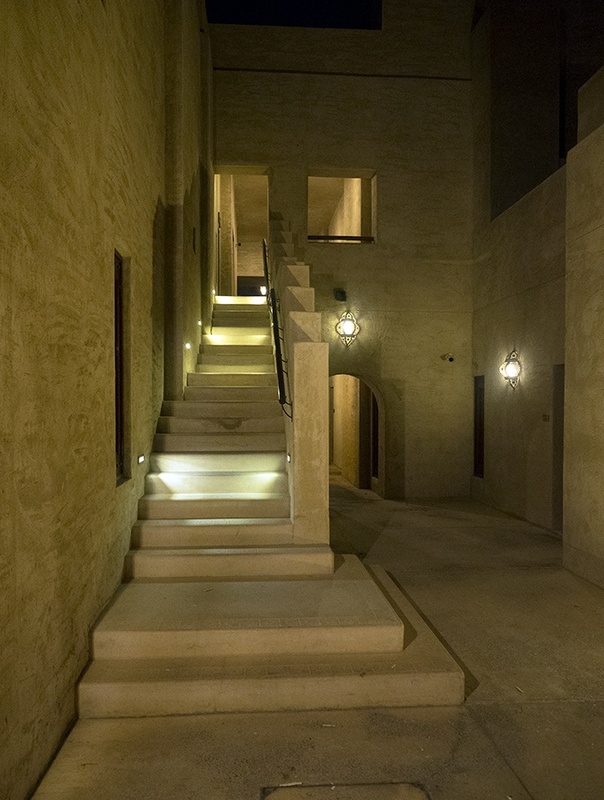 Sandy desert tones of the rendered walls, warm dark wood and brass fittings. My favourite bathroom feature in luxury accommodation, a pull out washing line if you need it (it’s also in brass). 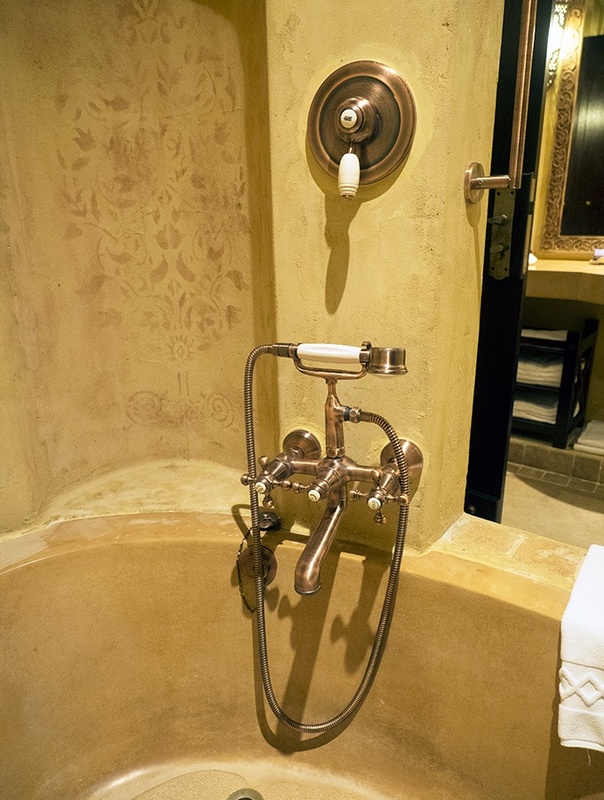 The shower and bath are instantly inviting. 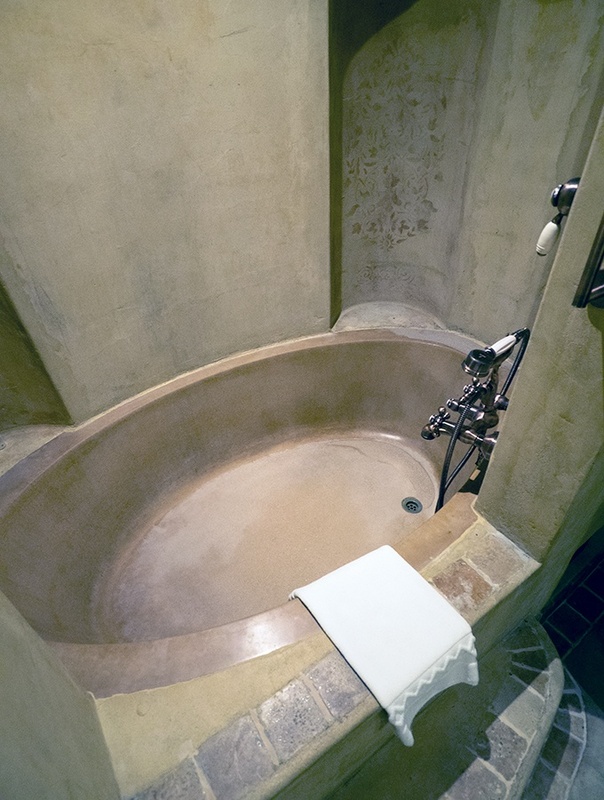 The shower is a rain shower above a very large stone bath. There is stencilling on the rendered walls of the shower. It is purposely unobtrusive and faded. But comes to life as the water splashes on it as you shower. A minor detail that adds to the theatrics of the accommodation. There is space to relax outside the room as well, a table with chairs out on my private terrace. From here I look through the date palms and greenery out on to the desert. The mornings are filled with birdsong. So many birds, I am quite surprised. Evenings are a time to star gaze from the terrace. The odd camel may amble past as well. 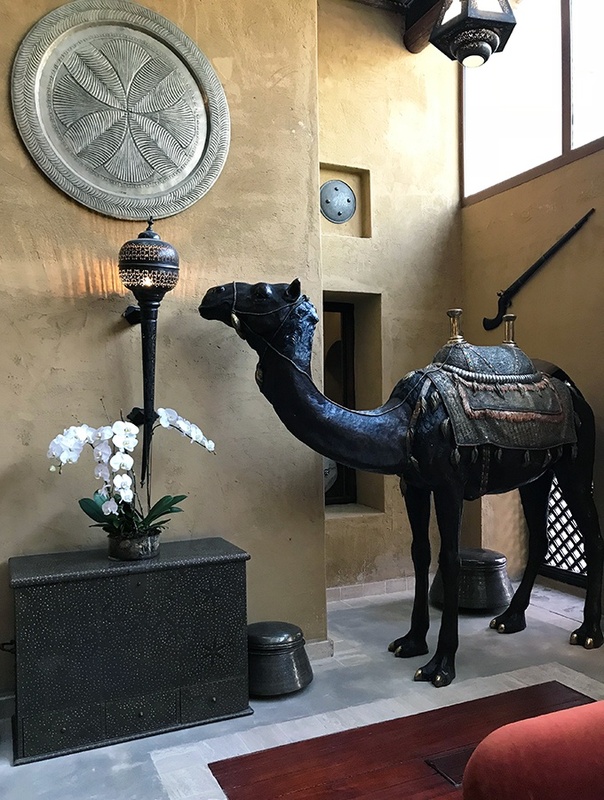 Fun times at Bab Al Shams Resort and Spa! 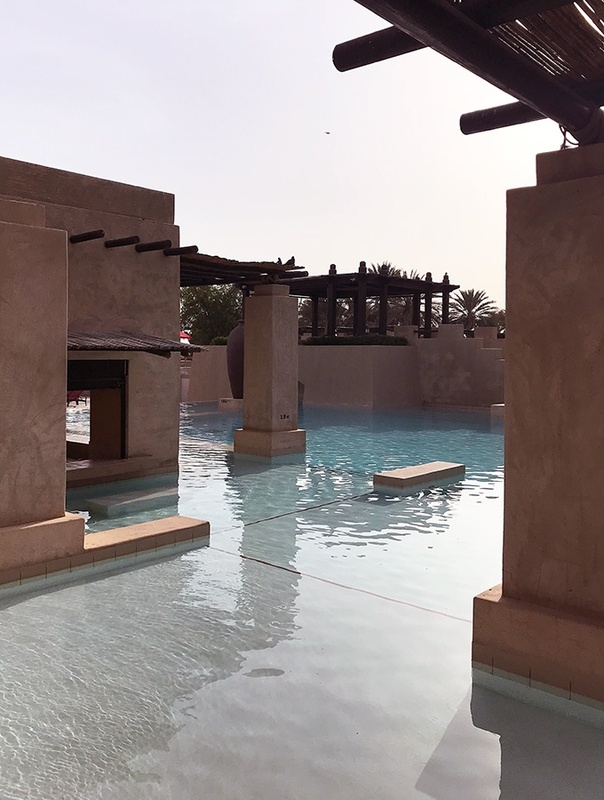 Water is a large feature of the resort. As you walk around the grounds you will find numerous fountains and ponds. 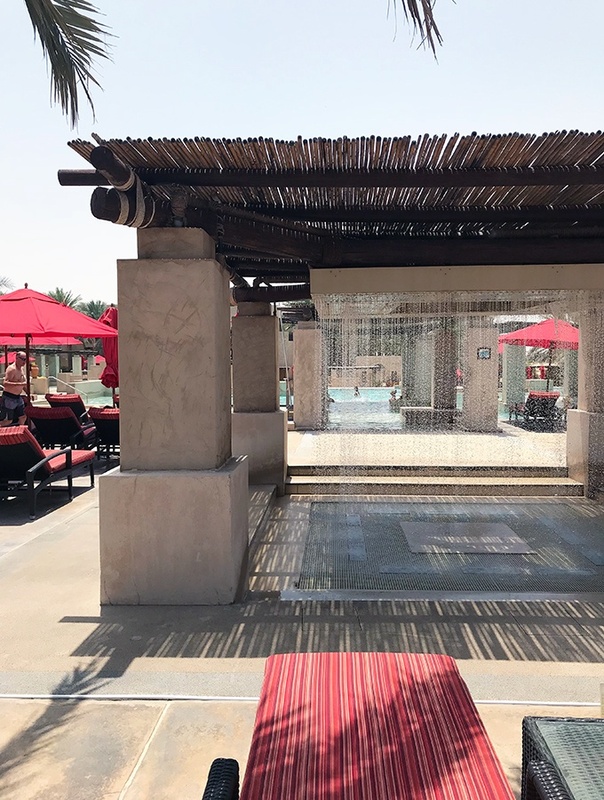 If you feel like cooling off there are three temperature controlled pools, all surrounded by desert dunes and manicured green lawns. 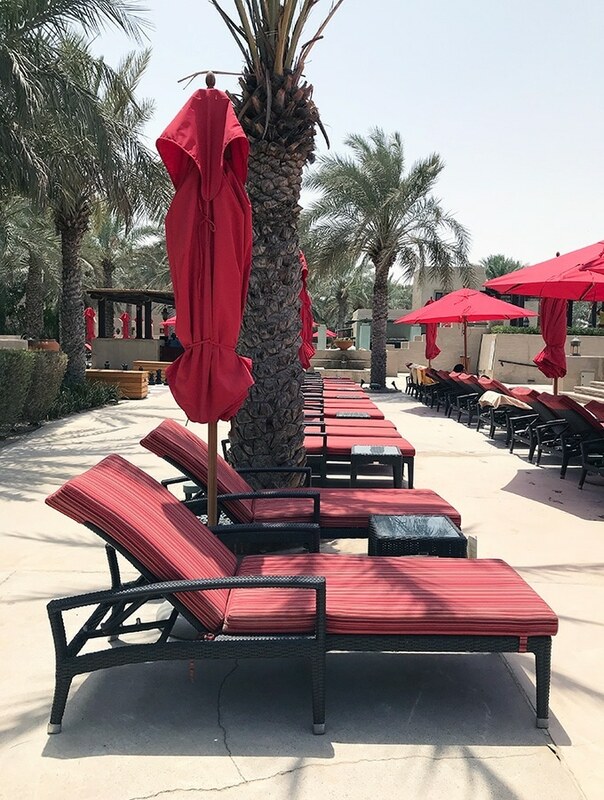 You have a sea of red padded lounges to choose from. The perfect place for a cocktail or two and a good book. 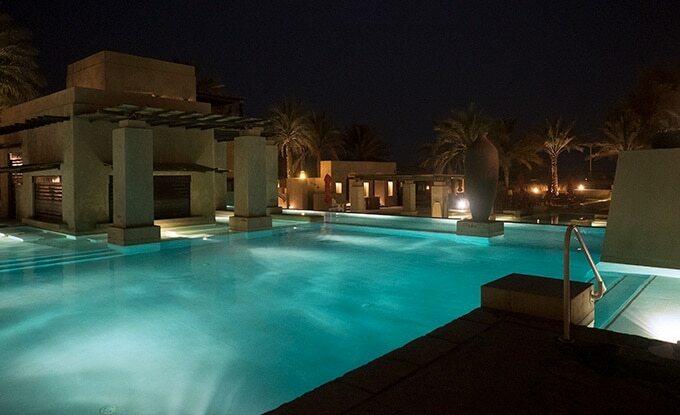 One of the pools is an infinity pool that seems to flow out into the desert, it really is quite spectacular. If you feel like a little more adventure than a frozen daiquiri, you are covered. There is a range of activities to choose from, desert fat biking, archery, volleyball, mini golf, croquet, table tennis and boules. 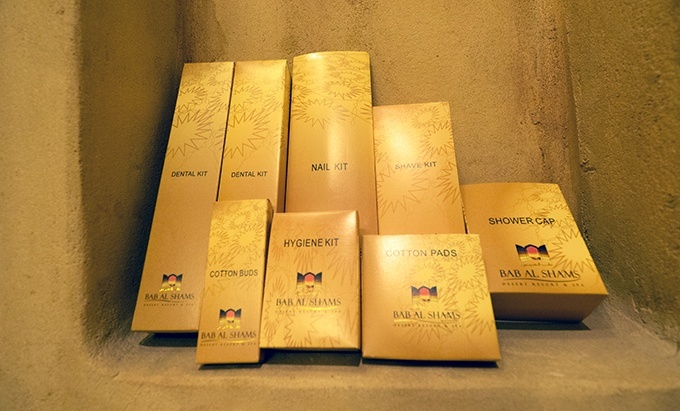 Bab Al Shams Spa and Resort also offers day passes to use the facilities if you are not staying as a guest. 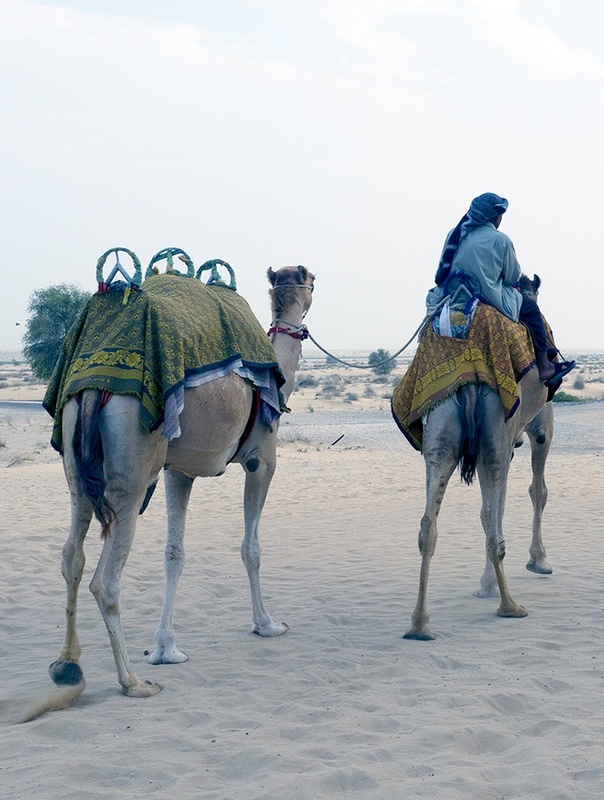 Every evening guests are encouraged to get close and personal with camels and falcons. 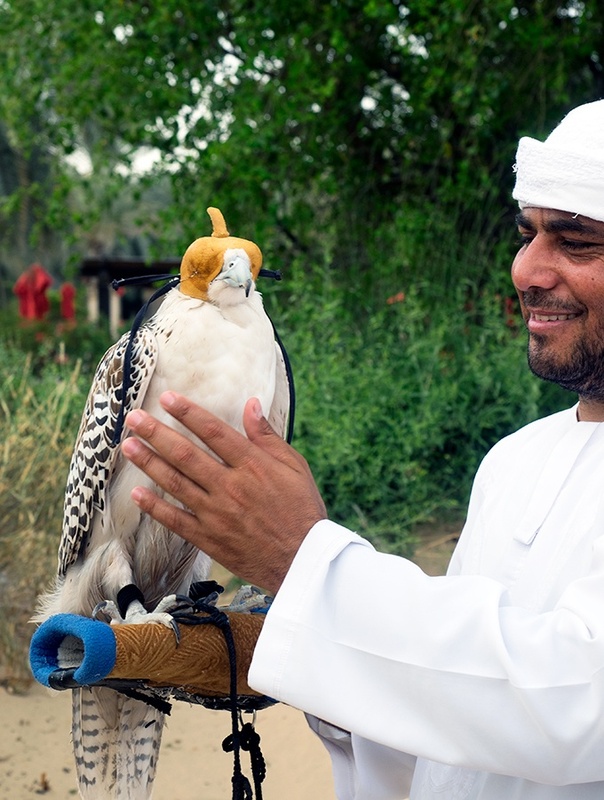 Guests have a photo opportunity each evening on top of a camel for or letting a falcon rest on your arm. 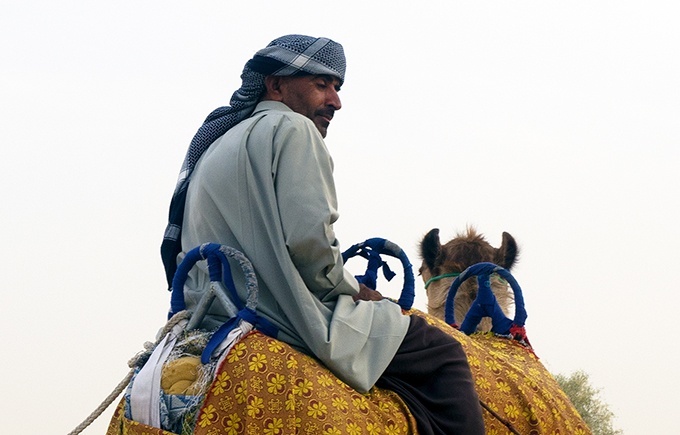 Longer camel rides can be arranged at an extra cost. If you feel like a little more adrenaline an open top 4×4 desert drive is a must. You will go whizzing up and down sand dunes, screaming may happen (not saying it did……). Besides the thrill of dune bashing, you will get to see some of the desert wildlife, Arabian Oryx and desert gazelles. After all that adrenalin a few hours in the Satori Spa will be well deserved. 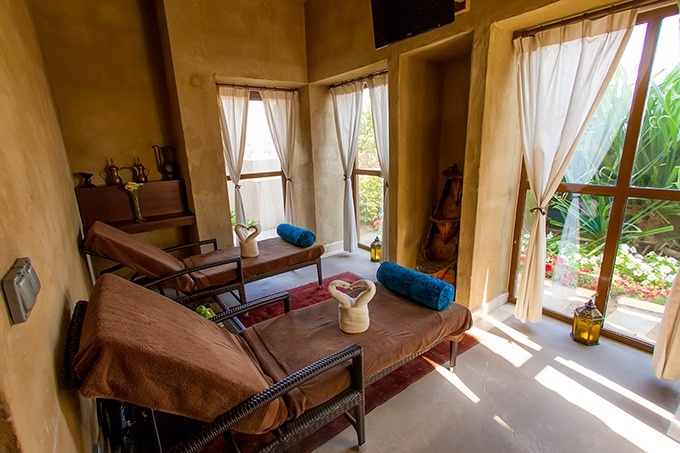 They have lots of treatments on offer, but I indulged in their speciality, authentic Balinese massage. 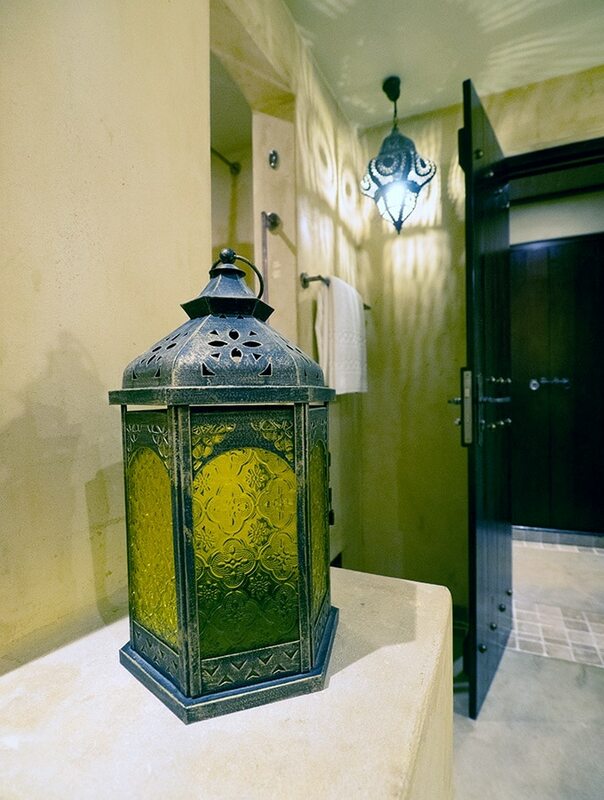 There are saunas, fragrant steam rooms and areas to relax after your treatments as well. My massage was amazing, stress and knots were worked out of my back and neck. I was a little tender afterwards, but ever so floaty. They also have two couple’s treatment suites. 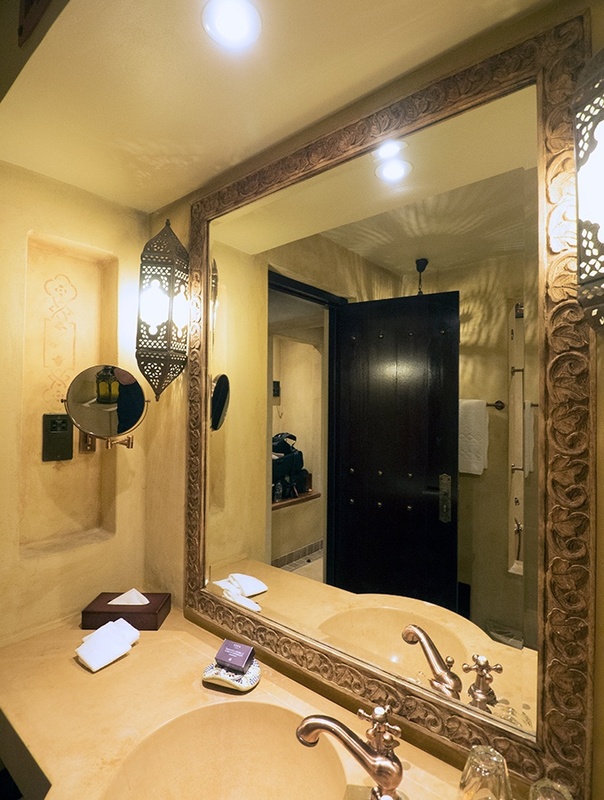 How is Bab Al Shams Desert Resort and Spa Going to Satisfy my Belly Rumbles? A restaurant which is a destination of its own. 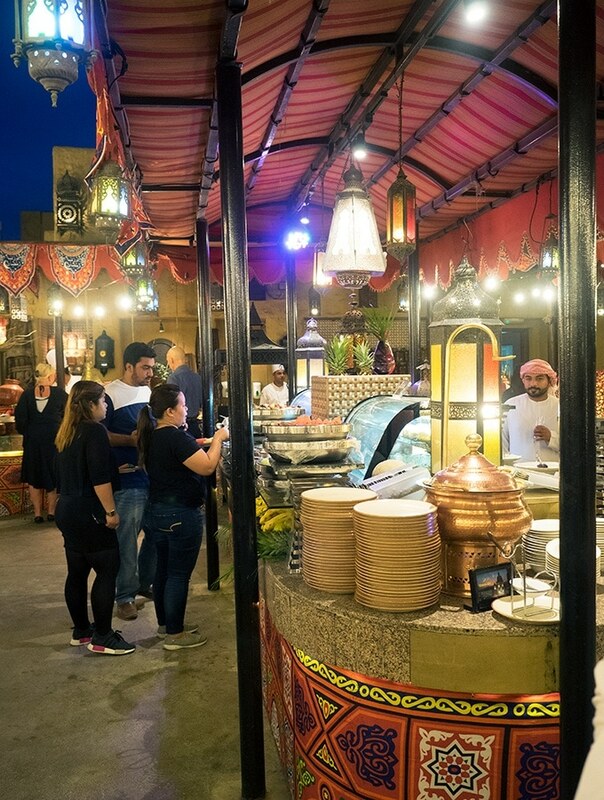 The ultimate Arabian buffet that is set in a traditional souk. 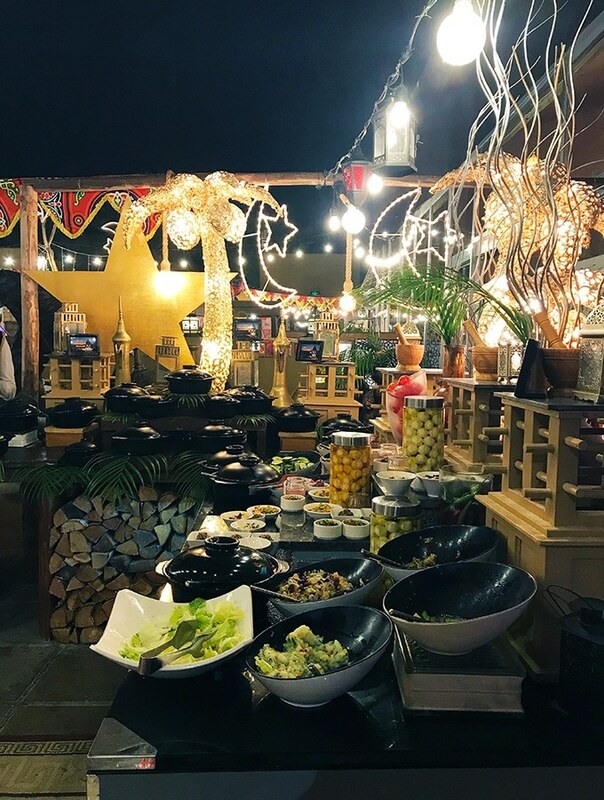 With numerous live cooking stations and a vast variety of dishes, it is a must visit. And visit I did, you can read more about Al Hadheerah here. The main resort restaurant which is open for breakfast, lunch and dinner. 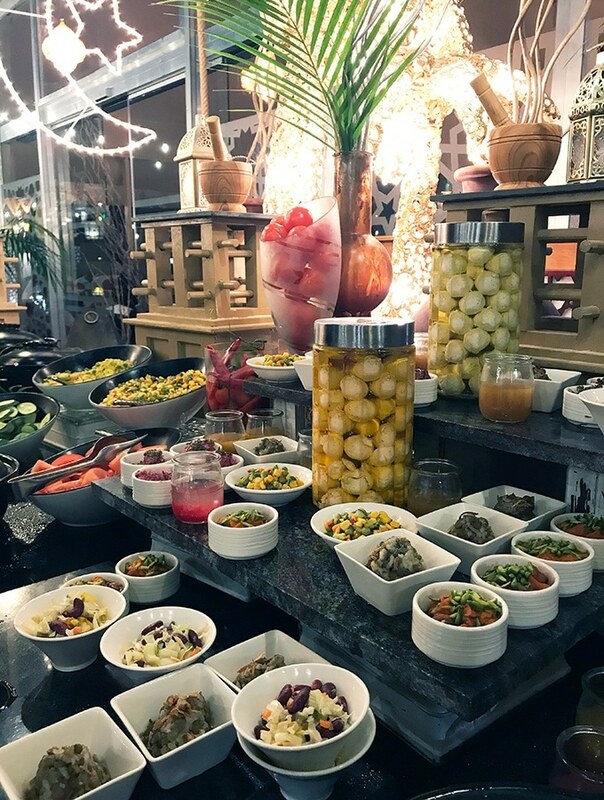 There is an extensive buffet for all meals, and breakfast was deliciously wonderful. Lunch, due to Ramadan and being a quiet time, was a set menu when I visited. I will be writing about Al Frosan soon, so stay tuned. The perfect location for an evening cocktail or snack. 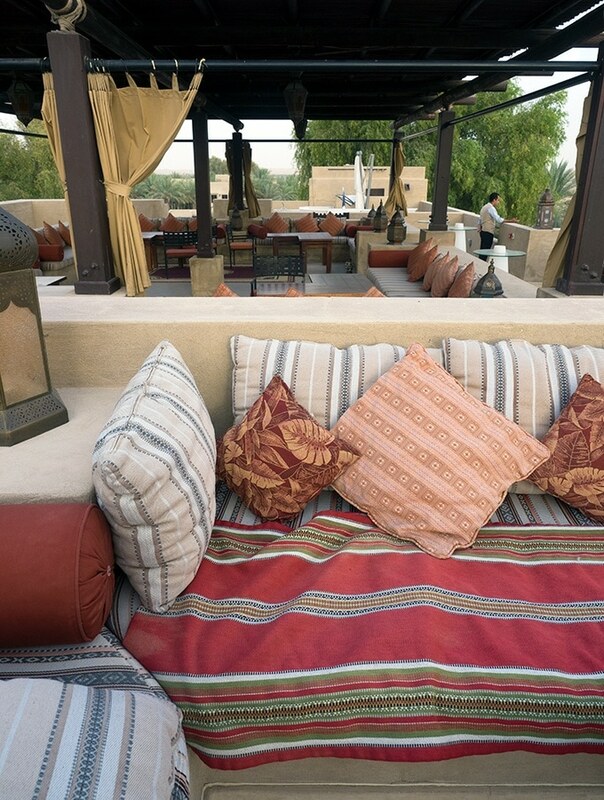 An open air lounge where you can watch the sunset over the desert dunes. In the evening it is lit by lanterns and I found a rather peaceful place to relax. 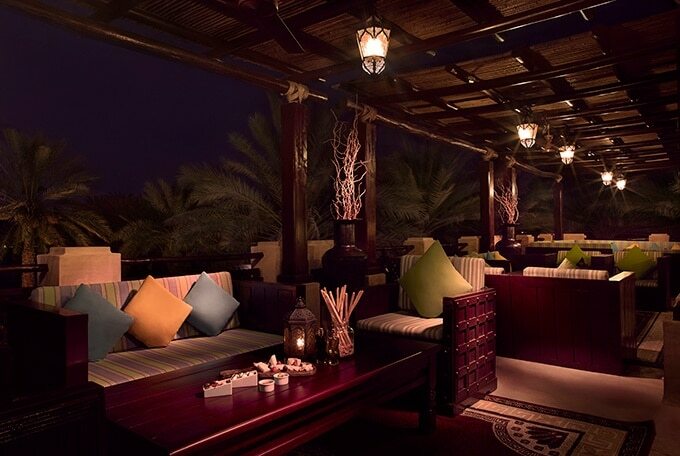 If you are wanting to try Arabian shisha this is the place to do it. There are a few more dining options at the resort, unfortunately, I didn’t get a chance to try them. Masala is the resorts Indian restaurant. 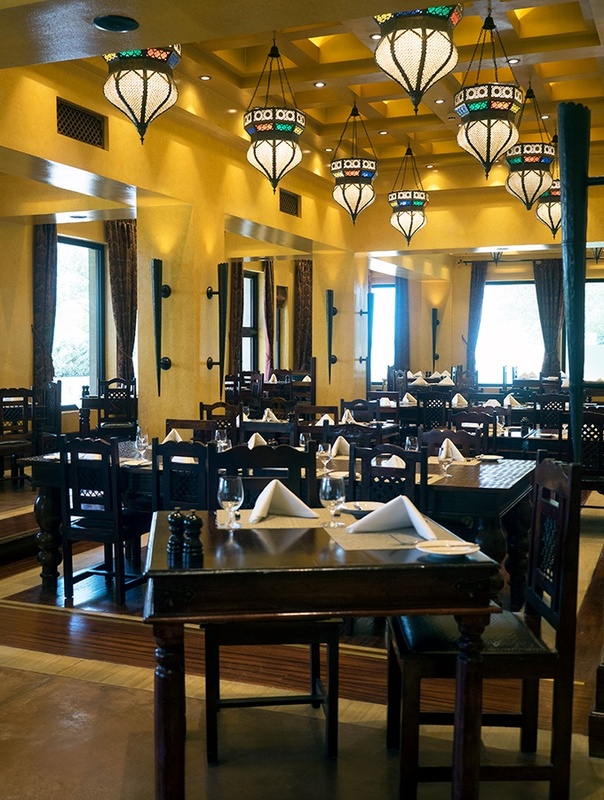 At Le Dune your taste buds will be transported to Italy. 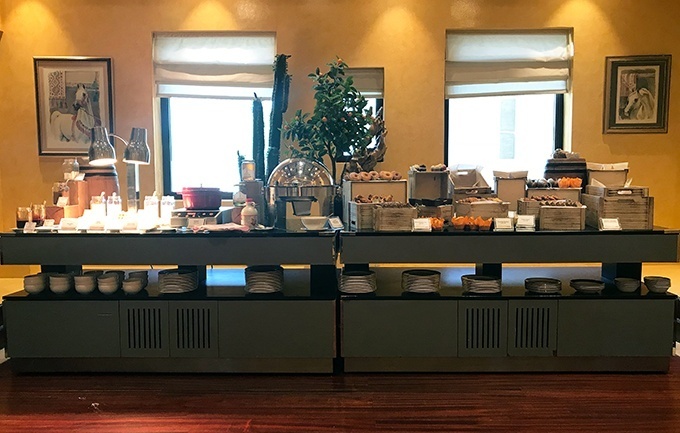 Al Shurouq Lounge is a level about Al Sarab and offers light bites, bar snacks and pizza. 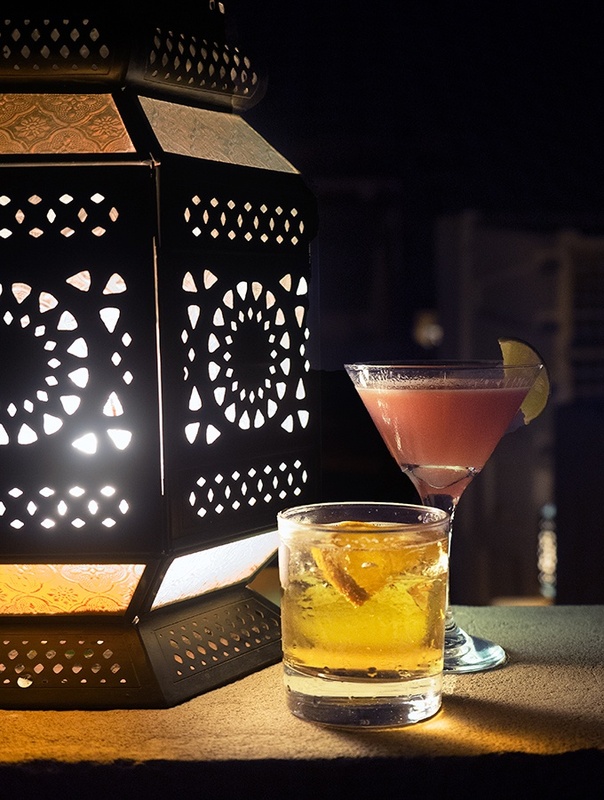 Ya Hala Bar is an intimate space near the lobby. 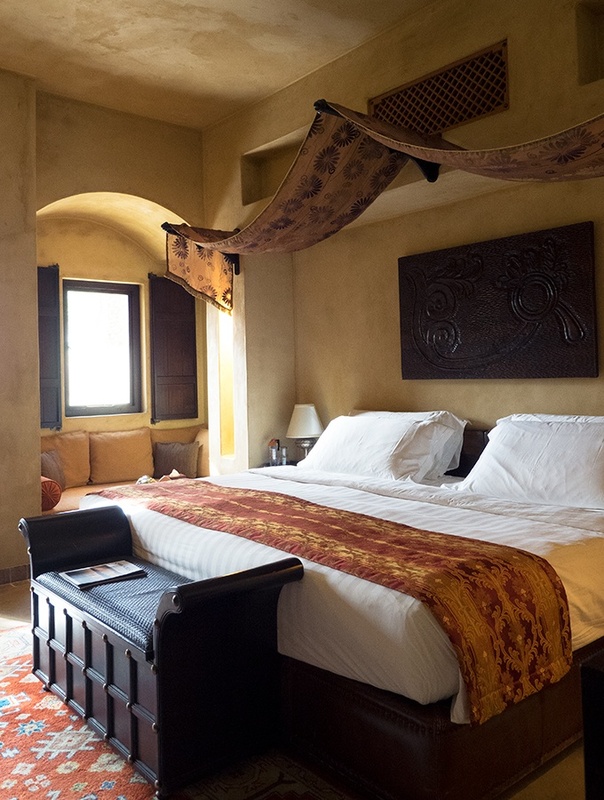 Why should I stay at Bab Al Shams Resort and Spa? It is pure escapism. 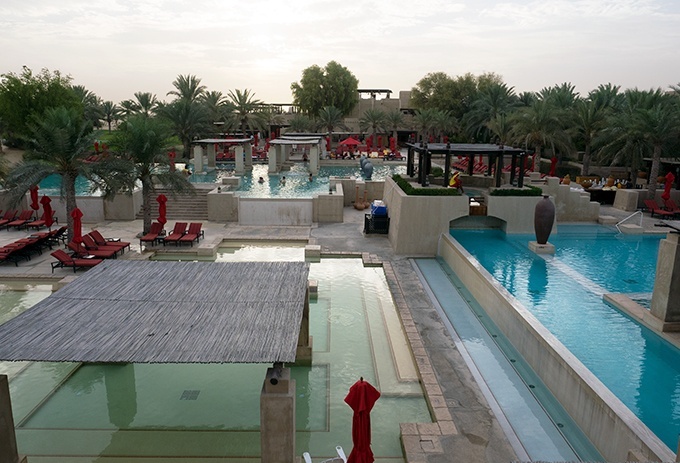 The resort offers another side to Dubai, a side that whisks you away to the Arabia of old. 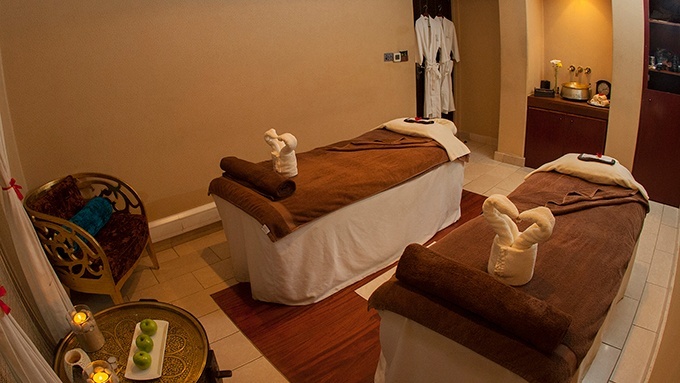 You will relax and rejuvenate. A visit to Dubai would be a shame without some time spent in the desert away from the glitz and shopping. 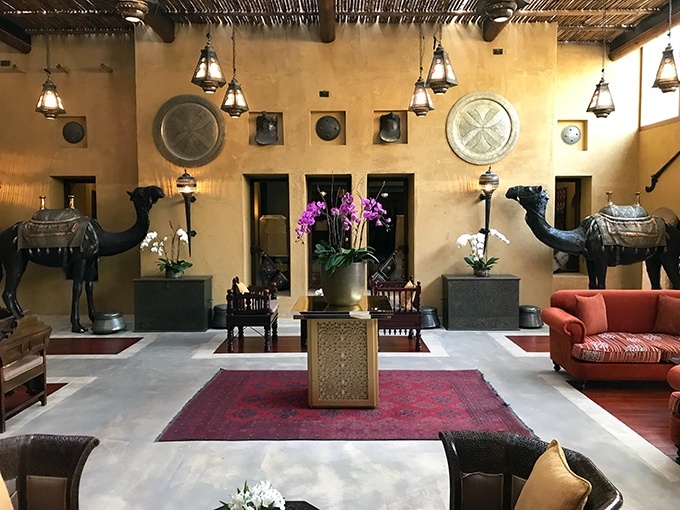 No real secret tips as such, but Bab Al Shams Resort and Spa are part of the Global Hotel Alliance and its Discovery loyalty program. You are away from everything, there isn’t a corner shop close by. The resort does have a small gift shop, but if you have any special needs take them with you. 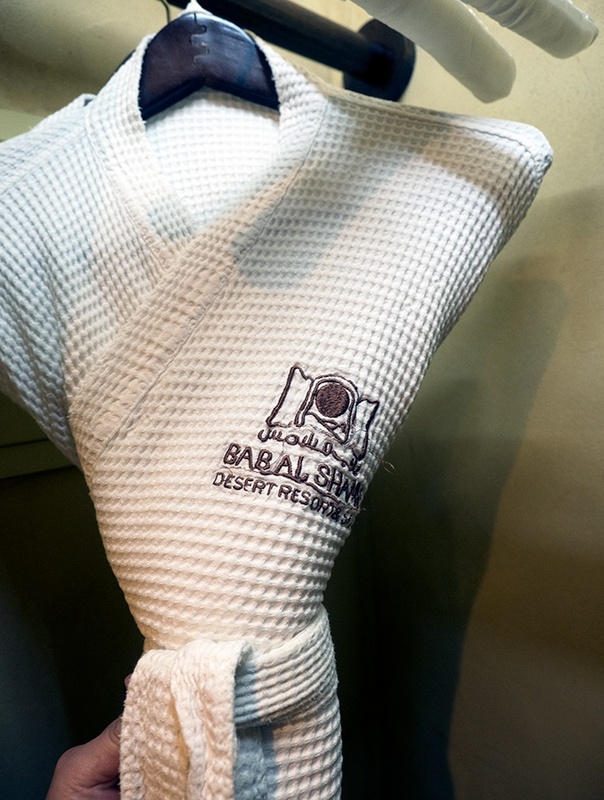 Belly Rumbles stayed as a guest of Bab Al Shams Spa and Resort and Dubai Tourism, but all opinions remain her own. Hello, beautiful blog and photos ! Keep going ! All the pics which you had shared here is really excellent one. wow, this place is fascinating, indeed! and the foods looks very delicious too. OK, with the exception of the Nescafe shots (hehehe), this gives me the Daenerys and Queen Cersei vibes! Complete royalty! I would love to go here!!! This looks like an amazing place to stay to just get away from it all. I’ve never been to Dubai, but I would love to visit someday. 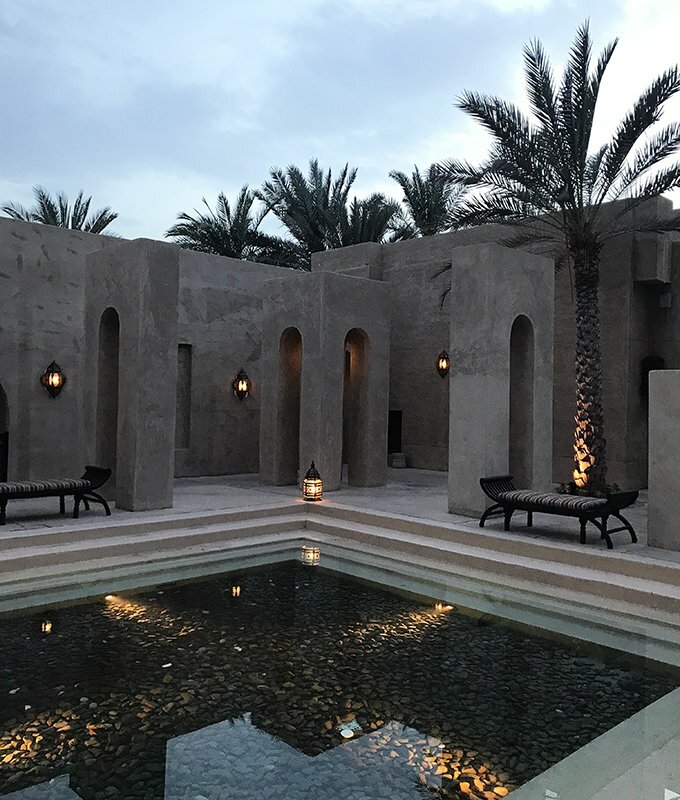 Although the city looks spectacular, the desert outside of this looks unreal, especially if I get to stay at Bab Al Shams resort. I could see my husband and I taking a beautiful getaway here! That soaking tub looks so unreal! 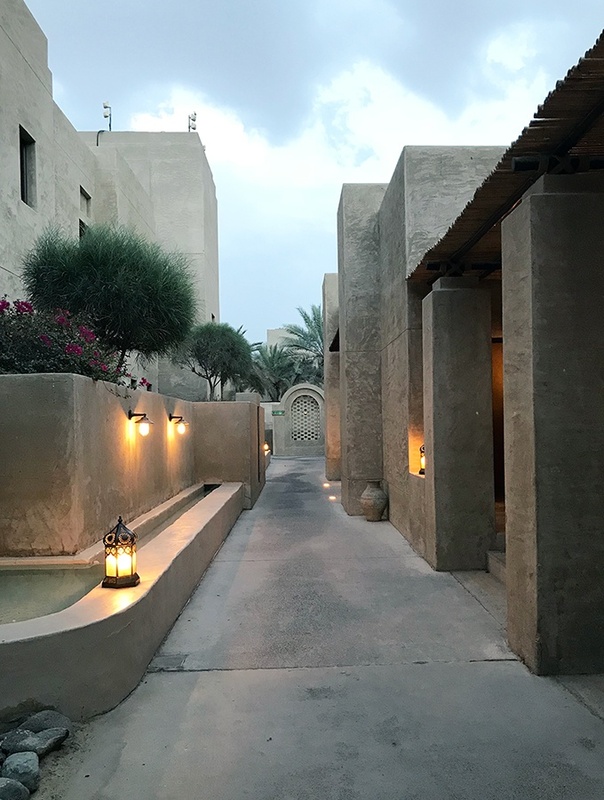 Once in a while, we want to escape city hustle and stay in a hotel amidst all the luxury and comfort and Bab Al Shams Resort is that perfect kind of retreat. 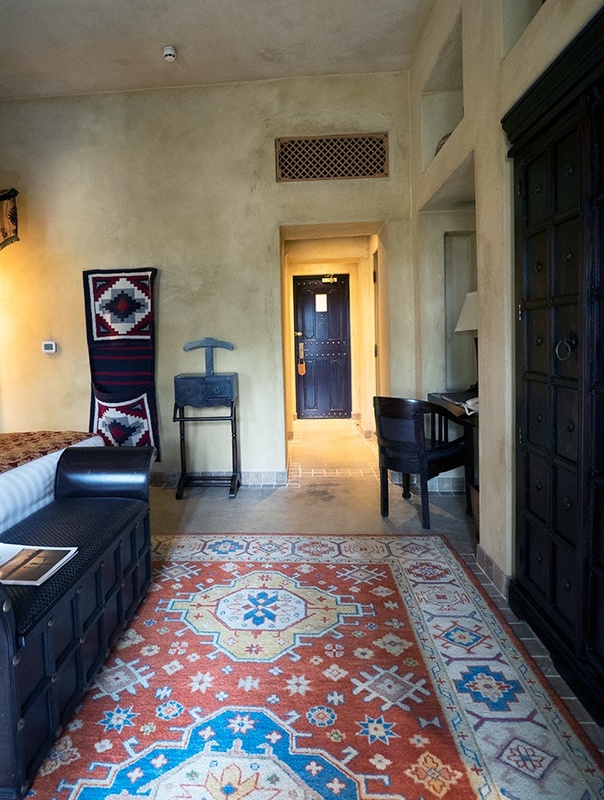 Staying in a resort with rustic interiors surrounded by arid desert for miles is a time warp. Dubai is on the list, bookmarking this post. I am always amazed at the amount of water that is found in the desert. The water features are beautiful and I am sure they are exactly what you need to cool down and escape the heat of the day. It’s a bonus that the resort is so close to the city as well and is easy to get to. I have been to Dubai 5 times, but I didn’t know that you can actually stay in the desert!!! in a luxury hotel! Staying in this hotel looks like a dream come through. I can understand why you get butterflies of excitement. I am the same. When we think of Dubai we think of the modern, glitzy places in the city. 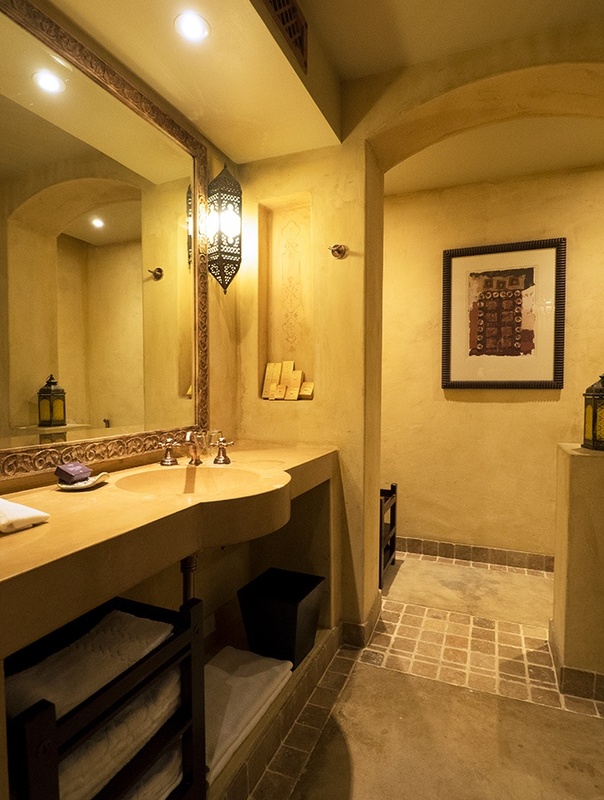 This looks so much more relaxing and seems you actually get an Arabian feel. It looks amazing and atmospheric with the lamps as the sun goes down. 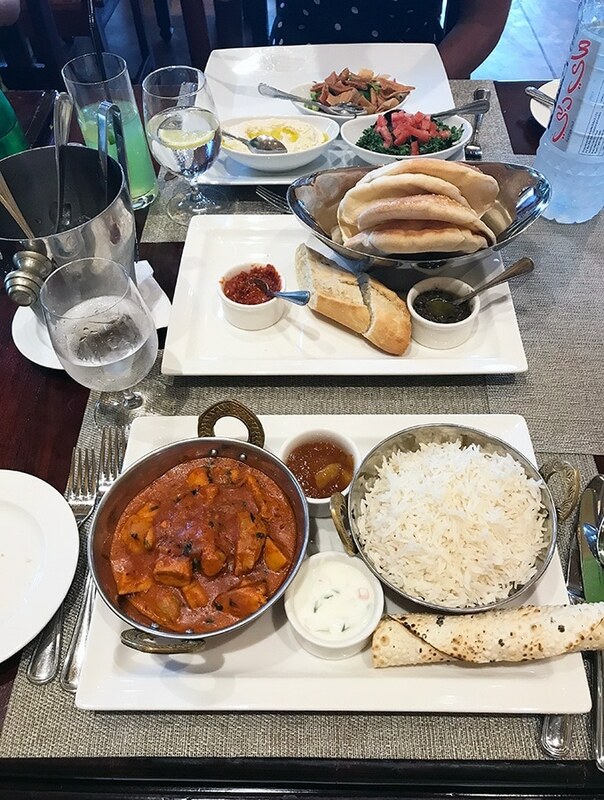 The food, especially that curry looks good. We stayed in Dubai and only went to the desert for a night event. But we really had wanted to stay out in the desert. 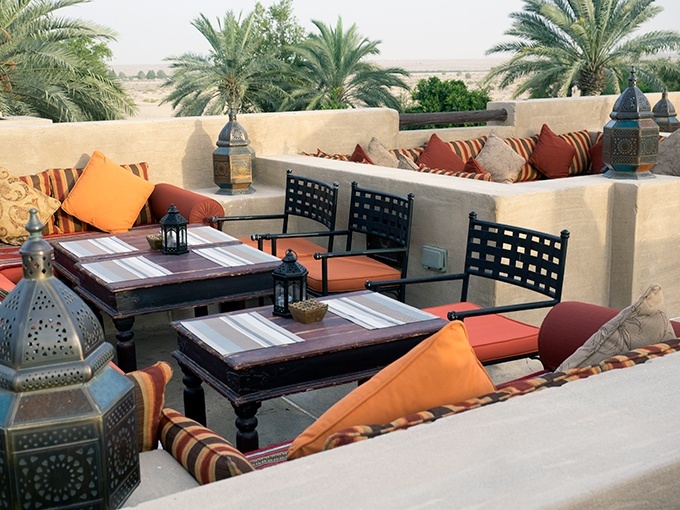 Bab Al Shams Resort and Spa looks like a spot we should check out next time. I love the Arabian decor. A maxi king bed would be perfect to relax. I am sure that one of the three pools would suit me just fine! I do love how the site transforms at night. Can’t wait for your Al Frosan article. What a great way to relax and unwind from the hustle of shopping. I’d happily spend my time here over shopping any day. Love your pictures! Amazing place for sure. 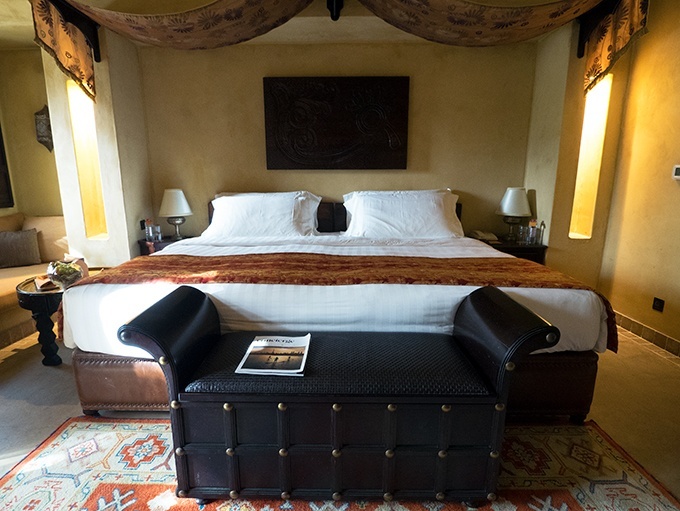 Bab Al Shams is one of my favourite desert resorts in the UAE! I live in Dubai and I always take my relatives and friends who visit me, to this resort. 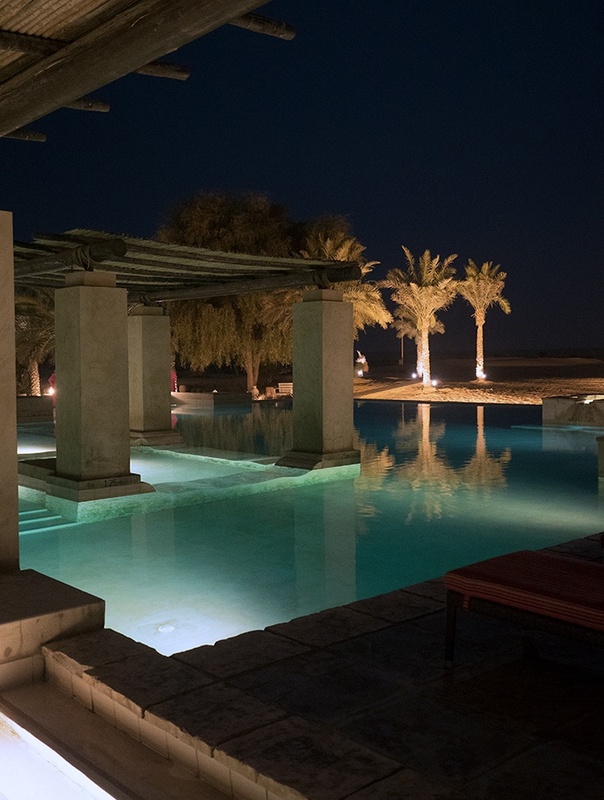 Sometimes to stay at and sometimes only to dine at Al Hadheera or even the rooftop bar they have which overlooks the expanse of the desert. It is a lovely property and so Instagrammable!